Learn To Fix ‘The Volume Does Not Contain A Recognized File System’ On Windows 10/8/7! Getting error message like “H:\ is not accessible. The volume does not contain a recognized file system, Please make sure that all required file system drivers are loaded and that the volume is not corrupted” with the title “Location not available” in your Windows computer? Just relax and follow the below-mentioned solution to recover data from the RAW drive or external or inaccessible external hard drive, USB drives (pen drive, flash drive, memory stick, etc), memory cards (SD, microSD, miniSD, SDHC, xD, etc) with suitable data recovery software. Also learn the effective solutions to fix “the volume does not contain a recognized file system” of hard drive, USB or SD card. Expert Suggestion: When you get such error message, then first thing you must do is to recover important data from the drive. 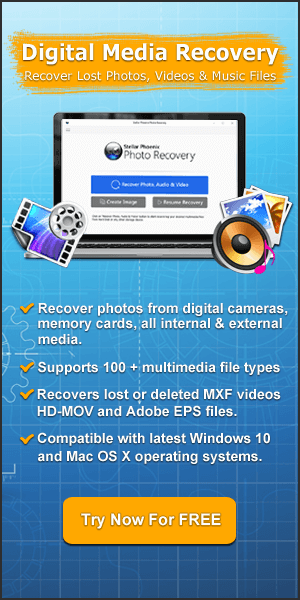 You can use Photo Recovery software to recover important media files from it. Retrieve inaccessible media files such as photos, movies, music, videos and audio from the hard drive/external HDD/USB/SD card throwing error message – the volume does not contain a recognized file system. Recover media files from damaged, virus infected, corrupted, dead, unrecognized hard disk, external hard drive, SD memory cards, USB flash drives. 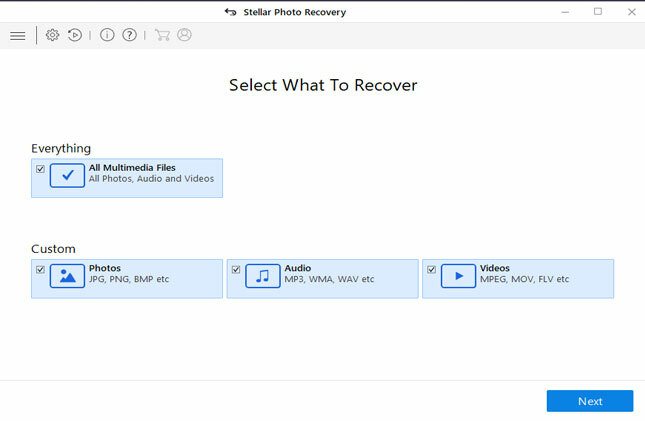 Free preview recoverable files within the software preview screen before final recovery. So, let us begin with real user practical scenario. Hey guys, I have an external hard drive that was running along smoothly until I rebooted my computer a few days ago and it wasn’t showing up. I turned it off and back on a couple of times but it wasn’t making any noise at all, like the power had stopped working. So naturally I took it apart and retrieved the drive out of the enclosure and ordered a USB HDD dock to put it in to see if it would power up with that instead. I hit OK and nothing changes. I checked Disk Management and it’s showing it now has three separate partitions… One 350GB Healthy Primary Partition in RAW format… one 1698GB Unallocated, and another 746GB Unallocated. I had this disk about 95% full (only about 100 GB free) when this happened. Anyone have any ideas of how to get this data back? Or at the VERY least, see what all files were on that drive and need to be replaced? Thanks for your help! There are lots of people out there like you and me encountering the same error message on our Windows computer. So, before we jump direct into the solutions, let’s know some information about the error “The volume does not contain a recognized file system”. At such situation, many users click cancel, if the storage device has some important data files. But if you click on “Format Disk”, then you will lose all the data from the storage device. hence, you must not click on format disk option. Well, but what happen when you click “Cancel” button? Well, when you click cancel button, then the Windows will pop-up another error message displaying “Drive H:\ is not accessible. The volume does not contain a recognized file system. Please make sure that all required file system drivers are loaded and that the volume is not corrupted.” And this is how this error “The volume does not contain a recognized file system” occur in Windows 7/8/10 computer. – You may not able to access the drive. – You may not able to access the files stored within the storage device. – You may not able to copy/transfer the files to/from the drive to computer or vice versa. So, the question is – what makes hard drive/USB/SD card to display “The volume does not contain a recognized file system” error? What makes hard drive/USB/SD card to display “The volume does not contain a recognized file system” error in Windows 10/8/7? It is clear that “the volume does not contain a recognized file system” mostly occur when the file system type information is missing. The possible causes could be RAW file system which is actually not a type of file system but available for your hard drive to create problem. Such problem generally occurs if you have ever ejected the hard drive, USB drive, SD card forcibly without using the “safely removal” feature from the computer. The volume got corrupted or due to physical damage. Required file system is not loaded or it is not compatible with the drive. Though there could be any reasons that are mentioned-above that can make your hard drive, external HDD, USB or SD card to throw the above-mentioned error message. So, now the big question arises – how to fix and recover data from the hard drive/USB/SD card that throws “the volume does not contain a recognized file system” error? Well, find out the solutions below by yourself! Tip: Whenever you face such kind of problem, it is always recommended that you must first recover data and then try to fix the issue. It is because fixing the issue may lead to the loss of data from the storage device. So, let us first know how to recover data and then we will provide the solution to fix the hard drive, USB or SD card error ‘the volume does not contain a recognized file system’. As I mentioned above that you must first recover data from the RAW volume that is inaccessible and then fix the volume does not contain a recognized file system without data loss. It is very easy to recover data from RAW or Inaccessible partition with the help of suitable data recovery software, and that is Photo Recovery. 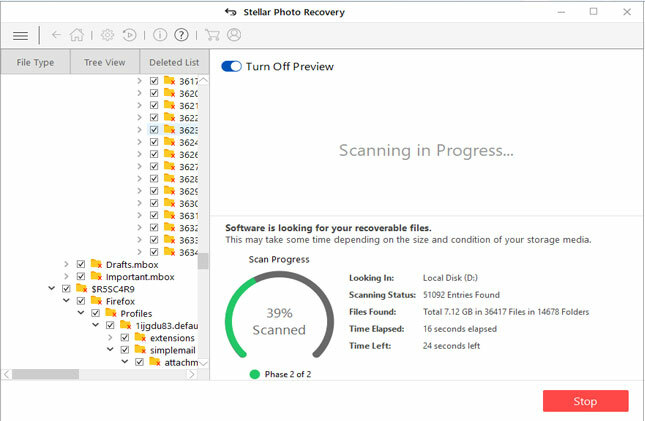 With the use of this photo recovery software, you can easily retrieve inaccessible media files from the RAW drive, external hard drive, USB drives and SD memory cards. 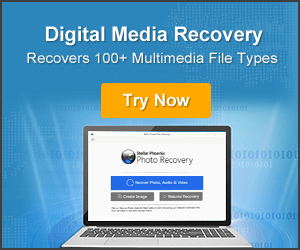 This tool will help you to recover media data such as photos (JPEG/JPG, PNG, PSD, RAW Images, GIF, etc), videos/movies (MP4, AVI, MKV, DIVX, 4K/UHD, etc) and audio files (AMR, WAV, MP3, MIDI, etc). The best part about this software is that is available for both Windows and Mac computer. The tool scans and recovers data from storage device that has memory capacity of upto 2TB. 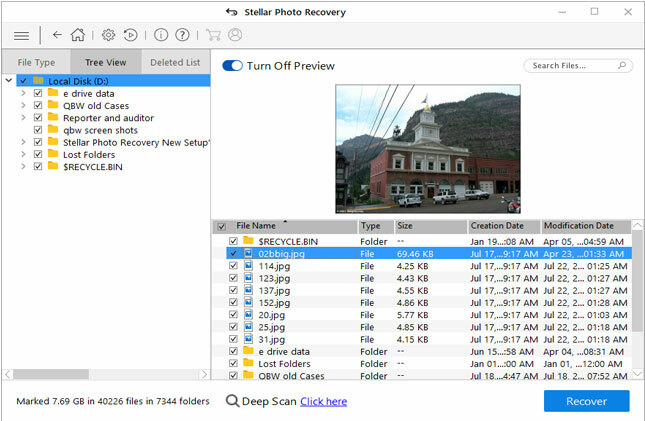 Download the trial version of the photo recovery and follow the below guide to recover data from RAW volume that is inaccessible. Once, you recover your important pictures, videos, movies and audio files from the data storage devices (hard drive/USB/Memory) with ‘the volume does not contain a recognized file system” you can now proceed further to fix the issue. 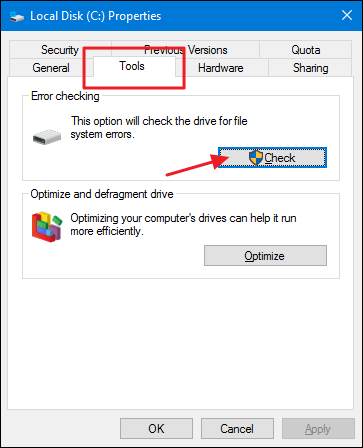 Below, you can find the few effective solutions to fix “the volume does not contain a recognized file system” error on Windows PC. Note: The below mentioned solution is applicable to all Windows PC hard drive, external hard drive, USB drives (pen drive, memory stick, etc), memory cards (SD, MicroSD, MiniSD, xD, SDHC, etc) that contains unrecognized file system. Connect your inaccessible hard disk, USB or SD memory card to PC. 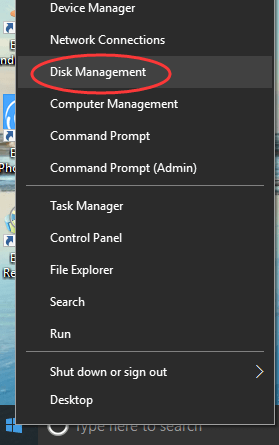 On your Windows computer right-click on “This PC/My Computer” and then choose “Manage” and then click on “Disk Management”. 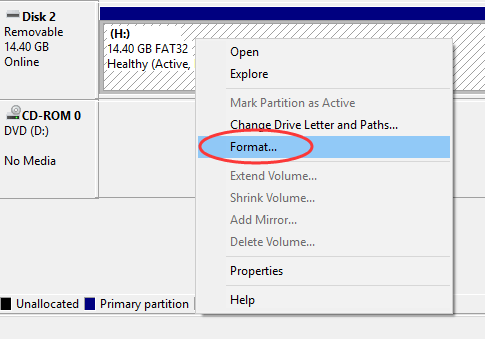 Now, right-click on RAW drive, USB or SD card and choose “Format”. 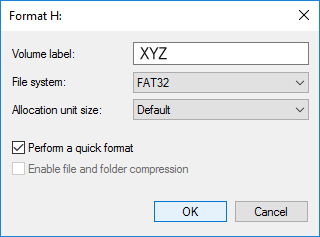 Now rename the “Volume Label”, select file system as NTFS/FAT32, allocate unit size as “Default” and select “Perform a quick format” and finally click on “OK” button. Now simply wait for the process to get complete. You may get the following error message “Windows was Unable to Complete the Format” or “The drive is write-protected”. In that case, you have to first to fix those issues before formatting. On successful format, you can re-use your hard drive/external HDD, USB or SD card as usual without any error. CHKDSK is another useful in-built utility offered by Windows, which is made to check and repair the volume errors and corruptions in many cases. On your Windows computer, click “This PC/My Computer”. Select the Volume (hard drive/USB/SD card) that is not accessible and then right-click and choose “Properties”. When Properties windows get open, click on “Tools’ tab. Click on “Check” button under Error checking. After this, click on “Scan Drive” as shown in the image below. Now you have to just wait for the disk check process to get complete. After the completion close the window. Go back to “My Computer” you will now be able to use it and access the drive without any issue. 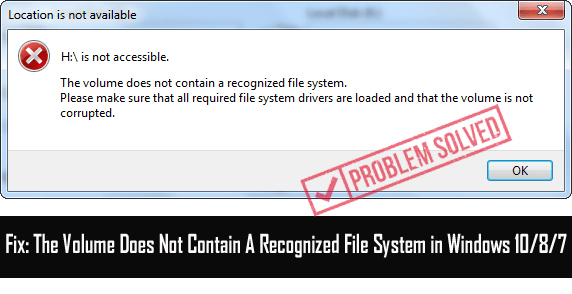 So, whenever, you get the error message “the volume does not contain a recognized file system” whether it is a Windows PC hard drive, external HDD, USB drive or SD memory card, you can follow the solutions mentioned-above in this blog post and fix the issue. 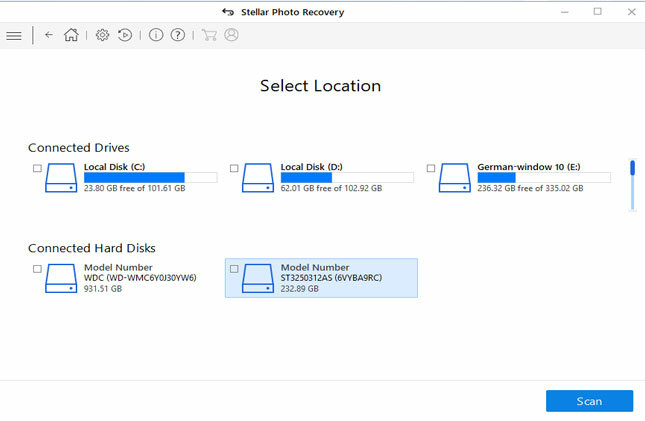 However, it is strongly recommended that before fixing the RAW hard drive or inaccessible USB/external hard drive/SD card etc devices, you must recover crucial media files by using Photo Recovery tool. Solved: The Volume Does Not Contain A Recognized File System. Recover Data When The Volume Does Not Contain A Recognized File System. 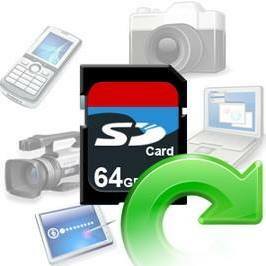 1: Format The Hard Drive/USB/SD Card To Fix The Volume That Contains Unrecognized File System. 2: Run CHKDSK Command To Fix RAW Volume That Is Inaccessible.